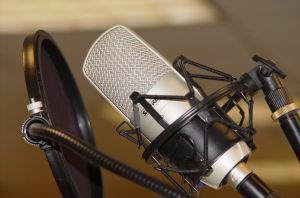 On this episode of Partners In Crime we talk about Ace Atkins’ Lullabye, discuss some characters we would like to see authors tackle, and round things out with a few of our favorite new crime novels. Meg Gardiner is acclaimed for her richly drawn characters, propulsive plotting, relentless suspense, and shocking twists. The Shadow Tracer delivers on those fronts and more. Meet Ava Lee, alluring but deadly, with a mind like a steel trap, as she chases millions of dollars and dangerous criminals around the globe in this exotic and fast-paced new crime series by Ian Hamilton. In The Wild Beasts of Wuhan, Wong Changxing, a rich Chinese powerbroker, has just been bilked out of $100 million in an elaborate art forgery con. His one hope of recovering the money, and of saving face, is Ava Lee—a forensic accountant with a talent for tracking down untraceable funds. With the help of her mentor, the Triad-connected Uncle, Ava traces the provenance of the meticulously forged paintings to Denmark, the Faroe Islands, New York, and London. As she infiltrates one of the most prestigious auction houses in the world, she uncovers a massive web of corruption, where high art and high-stakes fraud threaten more than just her client’s business—this is one scam that could get her killed. Ava Lee is one of the most scintillating, unique heroines to come along in years. In The Eye of God, a Sigma Force novel, New York Times bestselling author James Rollins delivers an apocalyptic vision of a future predicted by the distant past. In the wilds of Mongolia, a research satellite has crashed, triggering an explosive search for its valuable cargo: a code-black physics project connected to the study of dark energy—and a shocking image of the eastern seaboard of the United States in utter ruin. At the Vatican, a package arrives containing two strange artifacts: a skull scrawled with ancient Aramaic and a tome bound in human skin. DNA evidence reveals that both came from the same body: the long dead Mongol king Genghis Khan. Commander Gray Pierce and Sigma Force set out to discover a truth tied to the fall of the Roman Empire, to a mystery going back to the birth of Christianity, and to a weapon hidden for centuries that holds the fate of humanity. Meg Gardiner has put her mark on the thriller genre with her characters Evan Delany and Jo Beckett. In her latest, The Shadow Tracer, she introduces us to Sarah Keller, a skip tracer, who is in hiding herself with a girl she has taken to protect from one messed up family. Meg will be at BookPeople to sign and discuss The shadow Tracer at 7PM on tonight, June 26th. She is a great lady with a wonderful sense of humor which can be seen in our recent Q&A. MYSTERYPEOPLE: How did the idea for The Shadow Tracer come about? MEG GARDINER: I’m a lawyer who cares about civil liberties, and a mom whose kids’ social lives thrive online. I started thinking about privacy, and how technology enables corporations and governments to keep tabs on us. Also, I had signed up for the UK’s IRIS recognition system, which allows you to skip the passport line at Heathrow airport. My husband was horrified. “You did what? MI5 is probably watching you through the TV right now.” I laughed. Then I read about the vast facility the NSA is building in Utah to store their bajillion-terabytes of information. And I wondered: in today’s hyper-connected world, how do you keep yourself from becoming a fly under glass? So I thought: What if you needed, absolutely, to run and hide? Could you do it? What if you needed to run… with a little kid? What if the people chasing you had money, resources, and determination? What if they were criminals, and the FBI? From there, the story of Sarah Keller going on the run to protect her daughter Zoe came to life. I say all this patriotically, in the name of PRISM! No, don’t write that down. MP: In the early chapters you get a good sense of how a skip tracer works. What kind of research do you do for your characters’ professions? MG: I read copiously. Books, articles, interviews – whatever I can get my hands on. And whenever possible I meet people who do the jobs my characters do. That’s the best way to learn what it’s like to be a skip tracer, or a search-and-rescue expert, or a forensic psychiatrist. For the scene in The Shadow Tracer where Sarah Keller serves a subpoena, I talked to my brother, who owns an attorney support service like the one Sarah works for. It was amazing to hear his tales of tracking down sneaks and fraudsters, and to realize how gutsy he has to be to confront them. Of course, my baby brother is now 6’3″. MP: Sarah is trying to protect a child she has raised from her own biological family. What did you want to explore about motherhood and family in this book? MG: Sarah has raised five-year-old Zoe virtually since birth. The little girl was handed to Sarah by her dying sister, and Sarah swore to protect Zoe no matter what. The book explores how that promise has become the central purpose of Sarah’s life. She has become a skip tracer to learn how to disappear, because she fears the day that the people who murdered her sister come back for Zoe. At first, Zoe was an unexpected detour in Sarah’s life. But she has become the daughter of Sarah’s heart. Sarah’s promise to her dying sister is put to the test when the bad guys show up again. Risking herself for Zoe is a choice. When it’s life or death, what will she do? I assured him that we didn’t… but that I needed to tell him about his evil twin who lives in the attic. MP: You have a lot of fun with the locations in the book, particularly Roswell, New Mexico. How do you make a setting be more than just a backdrop? MG: When I was a kid I spent every summer in Roswell. My grandparents lived there. I loved the austere desert landscape. I loved New Mexico — White Sands and Carlsbad Caverns and the Bottomless Lakes and the town of Lincoln, birthplace of Billy the Kid. It was bright and wild and exciting. Now, of course, Roswell has a reputation as UFOville. Which I am not supposed to talk about, okay? Just sayin’. The southwest is a challenging landscape I have great affection for — from Oklahoma, where Sarah’s flight begins, through Texas and into New Mexico. I tried to bring my childhood memories to life, and then to add hit men, U.S. Marshals, and car chases. MP: The action passages in the book are relentless. How do you approach those parts from a craft standpoint? MG: In a novel, action scenes need to be extremely clear and visual, and even more emotionally powerful than they are on a screen. Readers don’t experience the visceral sensory impact that viewers get from watching action sequences in a movie theater, so I have to make up for it by delivering other kinds of punches. If a chase scene is going to excite readers (not just keep them from becoming bored, but excite them) it has to avoid every cliche and twist that they’ve seen or read before. I have to imagine all the action scenes I’ve seen — or written — and turn them inside out to surprise readers. Bullitt is iconic. Try to duplicate it, and you’ll just write a cheesy, predictable knock-off. One other point: explicit violence doesn’t raise the fear factor. What does increase fear and tension is a threat that remains partially veiled in mystery. Readers’ imaginations will create terrors more frightening than I can portray. The theater of the mind is more powerful than a bucket of blood. MP: As somebody who has two series characters, what does a stand alone do for you as a writer? MG: Writing stand alones frees me to tell stories that range beyond my series, and to write about characters who, in a series novel, would be secondary. Sarah Keller had to be at the center of The Shadow Tracer. The book is about her world and her life. If the story wasn’t hers, it would have lacked heart and guts. I want readers riding along with her as she makes her desperate run and tries to spirit Zoe to safety. MysteryPeople welcomes Meg Gardiner to BookPeople tonight, Thursday, July 27 at 7PM, to speak about and sign The Shadow Tracer. If you can’t make it, you can pre-order a signed copy of the book through the store’s website. 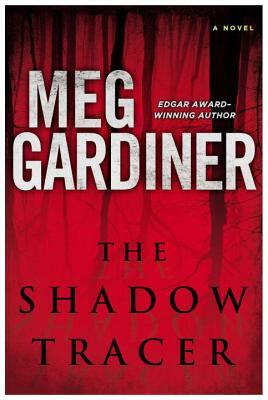 If you love Meg Gardiner, you’ll relish her stand alone, The Shadow Tracer. You will want to clear your schedule before sitting down with it, since you won’t want to stop turning the pages. The book shows all of the author’s talents, undistilled. Gardiner gives us one of her most fascinating heroines in Sarah Keller. In the first chapter, we see her working as a skip tracer in Oklahoma City. We get a a lot of cool details about the approach and philosophy of the job as she grabs someone in hiding. We also soon learn that Sarah is a fugitive herself. She has been living under a different identity with Zoe, a little girl she took in and and became a mother too. When a bus accident blows their cover, Sarah takes the girl and starts running. She is pursued across the Southwest by the FBI, US Marshals, and the Worthes, the family Zoe is protecting them from. The Shadow Tracer has the skill and craftsmanship of a well made movie thriller. Each character is clearly defined in his or her purpose. Many of their reasons, like many of the other reveals, are given at the exact right moment for dramatic impact. The pace and action are brilliantly executed with great set pieces, like the final confrontation at an airline graveyard. Gardiner also knows how to weave in humor so you don’t feel pummeled by a story that is so relentless. This could be the only edge of your seat thriller that has an Animal House reference. This is Meg Gardiner at the top of her game. She gives us an incredibly competent and human heroine in constant danger, peeling the secrets away at a steady pace. DVR your favorite shows and forget about going to the movies. The Shadow Tracer gives us the summer action we crave. MysteryPeople welcomes Meg Gardiner to speak about & sign The Shadow Tracer here at BookPeople on Thursday, June 27 at 7PM. If you can’t make it, you can order a signed copy via the store’s website. How was the last Noir At The Bar Austin? 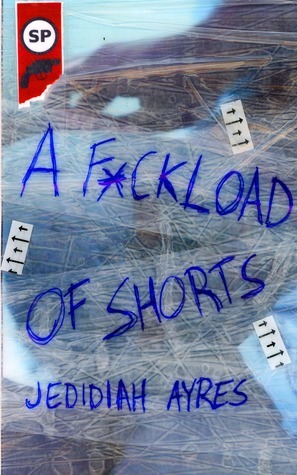 Here’s the perspective from one of the participants, F*ckload Of Shorts author Jedidiah Ayres. Before Jed went back to St. Louis to run Noir At The Bar there, he was kind enough to sign some copies of his previously sold out collection of short stories; it’s back in stock and ready to go home with you. Jim Wilsky is a Texas writer who is equally talented in horror, western, and crime. 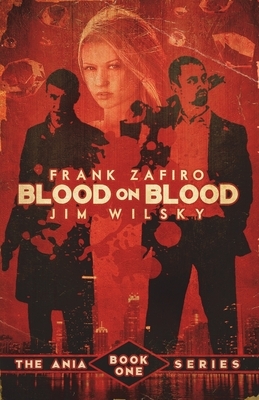 Blood On Blood, co-written with Frank Zafiro, is a great example of his ability to create a sharp mood that reflects his lead character. His short story published on Shotgun Honey, Yella Haired Girls, will give you a good taste of his talent.